Aaron J. Seigo, from KDE Plasma Active development team has revealed a tablet which could be the first device to come with Plasma Active pre-installed. Plasma Active is a joint project by the KDE community, basysKom and open-slx. The goals for this open source project are to deliver a fast embedded UX platform with minimal memory requirements, provide customizable and modular to support different form factors and design an interface that adapts as users change Activities. Plasma Active is intended for all types of tablets, smartphones and touch computing devices such as settop boxes, smart TVs, home automation or in-vehicle infotainment. Named 'Spark', the tablet features an open Linux stack on unlocked hardware and comes with open content and services market. This is a unique opportunity for Free software. Finally we have a device coming to market on our terms. It has been designed by and is usable by us on our terms. We are not waiting for some big company to give us what we desire, we're going out there and making it happen together. The content store will offer great Free Culture artifacts such as digital books from Project Gutenberg as well as contents and apps for purchase. It will provide a conduit to users for those who love writing great software, Free and otherwise, using the typical Linux tools. Spark will be priced at €200 ($265). 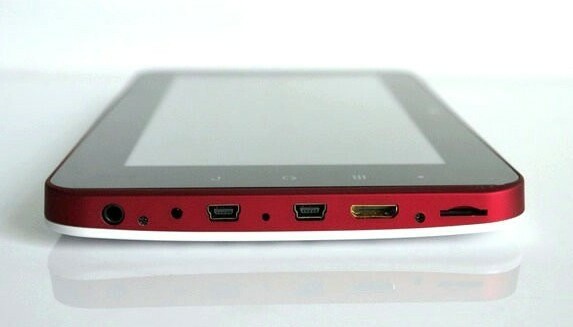 Information is limited at the moment and there is just one image of tablet. A video would have been nice. However, more details about shipping date, hardware and software will be made available in coming few weeks. Hello. Which distro is used for this Spark tablet? Perceval, that shouldn't matter. You can install whatever os you please I suppose.